The medical power cable on the X-ray machine is connected to the bulb and generator.The high pressure generated by the high pressure generator is transported to the bulb, and the X-ray machine includes CR and DR systems.The rated temperature of medical power cable is 70 degrees, and the material is tinned copper.The core is red and white.In normal times, medical power cable should be kept dry and clean to avoid the erosion of oil, water and harmful gas, thus avoiding rubber aging. Medical power cable sheath appearance should be smooth, uniform diameter, with no joint, bubble, bumps and other undesirable phenomena. The medical power cable and each part should meet Rohs 3.0 relative requirement. Brass is below 0.1wt. 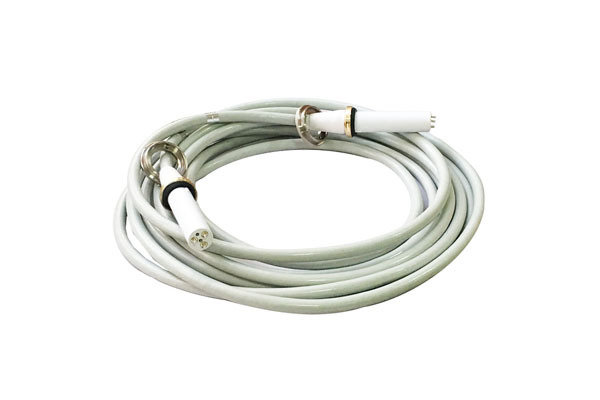 The medical power cable and each part should meet Reach relative requirement.